The Prime Minister of Mali, Cheick Modibo Diarra, has announced his resignation on state television just hours following his arrest by soldiers behind March’s military coup. It is understood that Diarra will be held until a new prime minister is appointed. 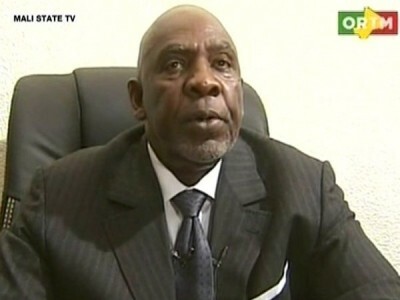 Diarra had been made prime minister of an interim government in April after the military handed power back to civilians. He had backed plans to send an Economic Community of West African States intervention force into north Mali to oust the ruling Islamists and Tuareg separatists. The Malian military is largely against foreign intervention. “Eight months ago the prime minister was given the mission to help Mali recover its territorial integrity, but unfortunately he has been working to stay in power indefinitely,” military spokesman Bakary Mariko told the BBC. On 10 December, UN High Commissioner for Refugees Antonio Guterres told the UN Security Council that northern Mali is “one of the potentially most explosive corners of the world”. The Security Council has issued a statement expressing serious concern over the insecurity in the region and condemning human rights abuses including extrajudicial and arbitrary executions, hostage-taking, people trafficking and recruitment of child soldiers.